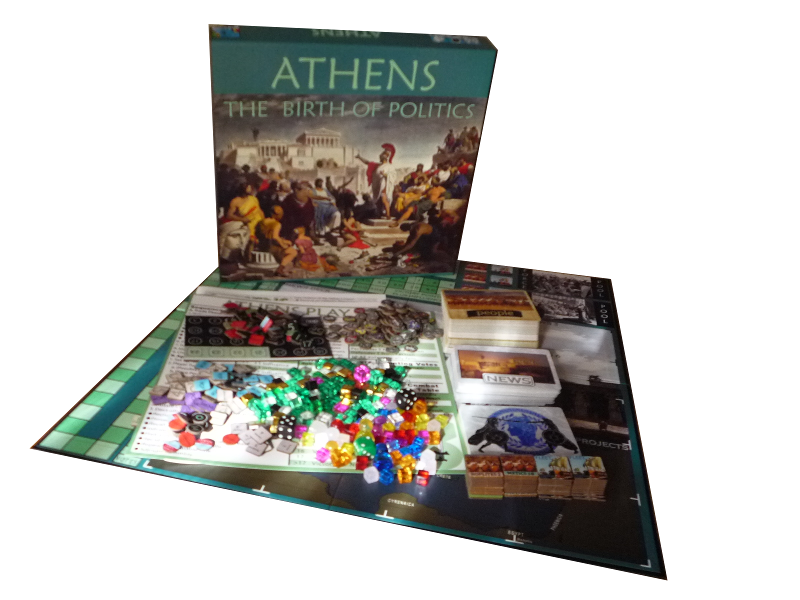 In Athens: the Birth of Politics, players struggle with Persians, Spartans and their own people on the way to a great empire. The game takes 2-4 hours to play, and supports 4-6 players. 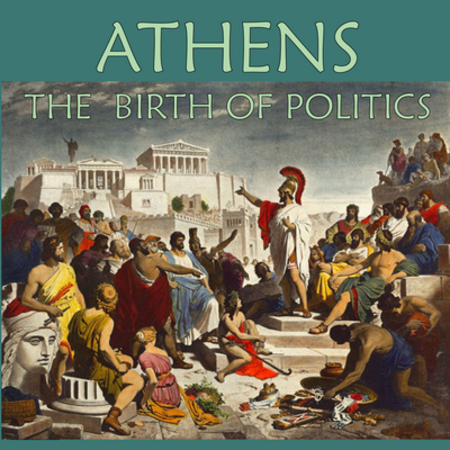 In a unique feature the game reflects the ancient Greek theory of Anacyclosis – the cycles of government – and includes Democracy, Oligarchy and Tyranny. Players can strive to change these forms, for their own advantage, and thereby alter the very rules of the game. When the government type changes, those on the top and bottom tend to change places. Can you see the change coming? How do you prepare for it? Or will you be the one actually triggering it? Once the change happens, how do you cope? All make for interesting challenges. Each player represents a specific class – Aristocrats, Merchants or Farmers – with its own Statesmen, (dis)advantages and goals. Which will you play? Aristocrats have the most Statesmen, several of them generals with great ability, but face declining revenues and so may conspire to subvert Democracy and set up an Oligarchy. Merchants have the best revenue potential and benefit from Democracy, but talented Statesmen are rarer. Farmers have good potential revenue, though often endangered by war, but have some of the best Orators, including Pericles and Themistocles. Often there is another player of your class with whom you can ally, but at times you will come into conflict with them as well and find yourself allying with other classes. Consequently no class has an unbalancing advantage. But in the final analysis the only real question is, are you smart and savvy enough to survive and thrive where Pericles and Athens could not? The rules are avaible here.